Rheanne Moore, leader of the Charlotteville Police Youth Club, poses with her National Youth Award for Leadership and Advocacy at the Hyatt Regency in Trinidad last Saturday. 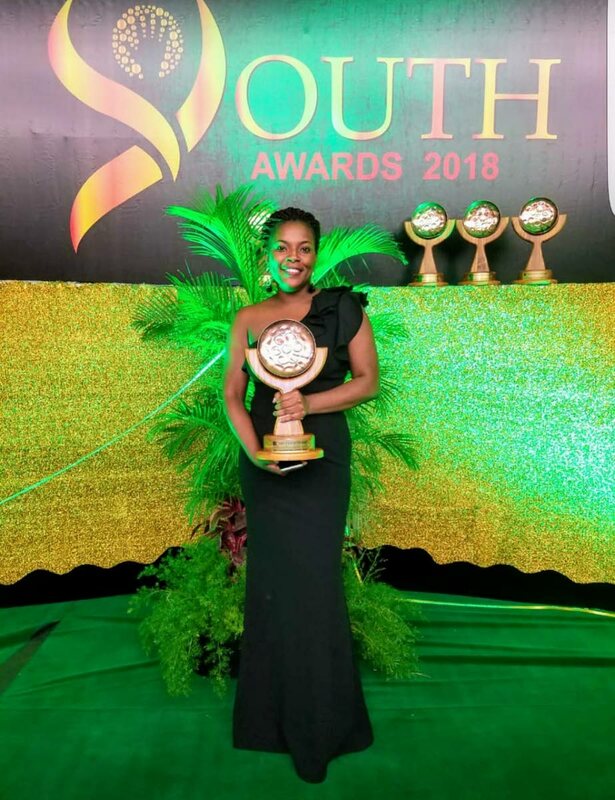 Rheanne Moore, leader of the Charlotteville Police Youth Club, was last Saturday honoured with the Leadership and Advocacy award by the Ministry of Sport and Youth Affairs for her work with young people in Tobago. In an interview with Newsday Tobago on Monday, Moore, 29 said she appreciates the recognition of her work as a youth leader not only with young people in her hometown of Charlotteville but with youths throughout the island. “It is good to know that I have made an impact in my community, revolutionising lifestyles and fostering enrichment to the lives of young people. It is a feeling of happiness and contentment to be nationally recognised in the field of youth development,” she said. A police officer by profession, Moore was presented with the award at the National Youth Awards ceremony at the Hyatt Regency Hotel in Trinidad last Saturday night. She said she was passionate about youth development, noting that the category, ‘Leadership and Advocacy,’ speaks to young persons who advocates, demonstrates, promotes, organises and manages group activities in the interests of empowering people. Moore said her greatest influence to date remains her mother, Rhona. “A very strong woman with a heart of gold, she will always give of her best and has taught me all the values and morals that define who I am,” she said of her mother. “Coming from a single parent family, I experienced struggle from a very early age. This has always motivated me to put my all into everything and I also developed a great sense of compassion to help others. The struggle made me understand how easy social issues can impact negatively on youth development and the significance of strong parenting and communities to aid in raising youths,” she said. A graduate of the Harmon’s School of Seventh Day Adventists, Moore the award has inspired her to keep working with youth who are in need. “Everything begins in the heart and mind. My dream of being a positive influence on others has inspired me to succeed. “My intentions, having ventured into community work, was simply to touch a life, motivate someone, mentor, be a positive change on a holistic view to engage youths. “I always do everything wholeheartedly so me being in this position is a great blessing. I love young people and I will always work extremely hard to be a shining light for them. “I know I would end up here? No....what I know is I was going to help others greatly and by extension communities and I am humbled to have perceived this (award),” she said. Moore’s work with youth has also led to her receiving the Youth Leader award at the the 2016 Tobago Youth Awards, followed up the next year with a Youth Service award. In 2017, she was also honoured for her work with an Excellence in Community Work citation by the Trinidad and Tobago Police Service. Reply to "Inspired to work with young people"